Is your cell phone tracking every move you make? 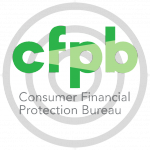 Over the past several years we have posted news about the Consumer Financial Protection Bureau (“CFPB”). As attorneys focused on socially just causes, we care about the watchdog agency that was formed to protect the interests of everyday consumers against unscrupulous practices of financial institutions. The CFPB’s mission becomes that much more important in this era of forced arbitration and contractual class action bans. In more and more cases the courthouse doors are shut to consumers who have been defrauded by their banks, mortgage companies, payday lenders, and brokerage firms. Imagine your bank took $500 from your bank account without justification, what are your options? It used to be that you could band together with other bank customers who had the same thing happen, but in 2018 that is often not the case. This is one reason that the CFPB is so critically important – in a time when citizens’ rights to hold financial institutions accountable are being trampled, there at least was a government agencies that was designed to help injured consumers. Unfortunately, the current administration has put former Republican Congressman Mick Mulvaney in charge of the agency – this is the same Congressman who tried to dismantle the CFPB when he was in Congress. Now we have a President, Executive Branch, and much of Congress all working in tandem to destroy the CFPB, and with it consumer protections. As but one of a long list of examples, this past Monday, President Trump held a ceremony to celebrate his signing of a Congressional Review Act resolution to block 2013 guidance from the CFPB designed to prevent discriminatory markups on indirect loans made by car dealers. This move to lessen remedies for racial and other types of discrimination by lenders follows on the heels of Mr. Mulvaney’s May 9, 2018 announcement that he was shuttering the CFPB’s Student Lending Office. This is an Office that was responsible for $750 million dollars of relief to students who had been taken advantage of by the illegal practices of student loan companies and for-profit diploma mills. Cotchett, Pitre & McCarthy, LLP has a long track record of representing consumers, small businesses, employees and whistleblowers who have been the victim of financial fraud, including in consumer class actions. For more information contact our firm at (650) 697-6000. The author of this article can be reached at amurphy@cpmlegal.com.